Return flights from Dublin to Brazil (Sao Paulo, Rio de Janeiro) from €440! Return flights from Milan or Rome to Namibia or South Africa from €371! Fairly priced deals from Ireland to South America are very rare so althought this one does not seem to be that great it is still worth to mention at our travel blog. (Actually it is first time we do post an offer from Ireland to Brazil). Oneworld partners British Airways and Iberia or SkyTeam airlines Air France-KLM offer discounted return flights from Dublin to Rio de Janeiro or Sao Paulo already for €440 return. Fare is including all taxes, meals and hand bag. There is no checked luggage in base fare and you would have to purchase for extra fee. If you are looking for reasonable solution from Dublin to Brazil on board of good ranked airlines with one short layover this is good chance and most likely the cheapest deal on this route we have ever spotted..
British Airways or Air France/KLM promotions are available when traveling from March to 17th of June or 28th of August to 14th of December 2019 also in January 2020. Max stay 3 months. Book this discount offer by 31st of March or until sold out..Need affordable hotel in Brazil you can book your accommodation via Booking.com or Hotels.com. 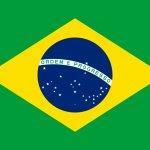 Booking sample of cheap return flights from Dublin to Brazil (Sao Paulo, Rio de Janeiro) from €440! In this case you would depart from Ireland to Rio de Janeiro on 10th of November. Return from South America back to Dublin on 24th of November 2019. Outbound leg is on Lufthansa via Frankfurt and inbound with Swiss International Airlines via Zurich.